Drawing from 15 years’ experience, we work towards providing an efficient and professional service to all customers across Darwin. 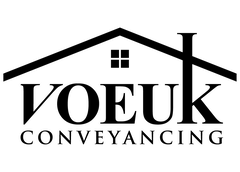 Voeuk Conveyancing is focused on understanding client needs, and delivering a high-quality conveyancing service for affordable and competitive prices. We ensure that all your needs are met whilst protecting your legal interests. We ensure you are kept well informed as to the progress of your matter, every step of the way. We take great care in explaining the contract and we decipher the legal jargon in contracts in plain English, making it an easy and smooth conveyancing process. We guide you throughout the whole conveyancing process from the start of instructions, all the way through to attending settlement. We will help you to understand any legal terminology that may confuse you, and ensure that you are fully aware of the agreements met. Voeuk Conveyancing is able to provide you with genuine knowledge and transparency so that you are left with peace of mind when transferring your assets. We strive to provide the very best service so that everything is done with as little hassle as possible. Streamlining our work has given us the ability to provide you with fast and effective services so that you can get through the process of transferring your legal title to another person. Conveyancing is complex, but our team can decipher any legal jargon that may be confusing or complicated in nature. With our services, our team strives to achieve the following with all customers. Voeuk Conveyancing are the professional service that you can trust to deliver you personalised advice. Get the very best for your property conveyancer in Darwin today!